Already listed with our Phuket animal hospitals directory? How to take care of various types of pets? We offer a directory of veterinarians & Phuket animal hospitals for all pets. They treat pets with high standard equipments as well as modern technology. Veterinary medical treatment, emergency and trauma care, a full service veterinary are providing at your need in Phuket animal hospitals. Rattanatibeth Referral Animal (RTB) Hospital Phuket is the only 'One Stop' facility in southern Thailand dedicated to providing 24 hour emergency and critical care services for dogs & cats. Welcome to Ao Chalong Animal Hospital, we treat your pets by expert veterinarian. 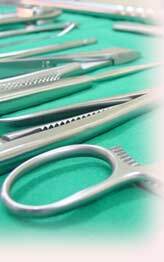 We offer highly standard equipments with a hygienic surgical room and cleanness recuperative room. Phuket Animal Hospital, a full-service animal hospital in Phuket, we are pleased to provide skilled care for your pets; dogs, cats, birds, reptiles, and any pocket pets.